J - 13/65, Basement Kotak Mahindra Bank, Main Market, Next to "The Gym", Rajouri Garden, New Delhi - 27. Are tattoos painful? How painful are tattoos. 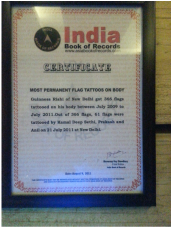 Kdztattoos has been regarded as the most efficient and hygenic tattoo studio in gurgaon and New delhi by our clients; both National and International. We would love to provide with the references up on requests. Block S, Near neelkant hospital, Nathupur road, Dlf Phase3, Gurgaon 122002.
" A well thought tattoo is like an anchor for your soul. It holds you close to the hardships and challenges faced in life and lets you to be yourself " - Kd from Kdztattoos. Omkar Singh, olympic gold medalists. Tattoo by Varun. "I loved my first tattoo and loved the studio. Nice job Varun". 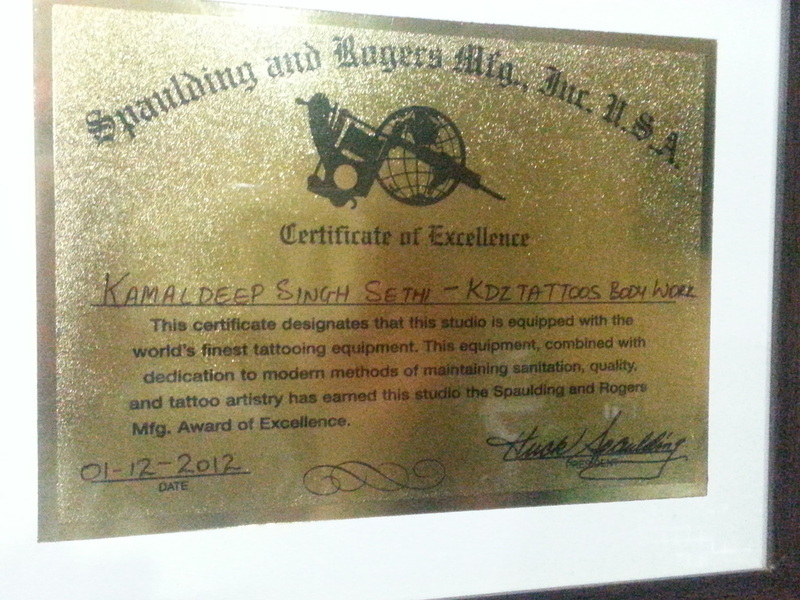 KDz TATTOOs was my dream which was realized after 4 years of dedicated tattooing. The art of tattoo making came to me naturally, it was a progression from the paper pencil sketches that i made since childhood. A good tattoo artist needs to have a spark within him and Mr. Warman helped to ignite the spark in me. When you desire to get a tattoo, you undergo a long process of visualization and when that is realized it's a joy that knows no bounds. I always strive to bring that one impeccable smile on client's face, which speaks of their satisfaction. We at KDz offer customization of designs, you can always walk in with any concept and we would confidently shape it into reality. The mind weaves many beautiful designs, which are either influenced by components or elements, which are close to our life. It requires great talent and expertise to be able to visualize another person's imagination. Apart from customizing designs, KDz offers thousands of attractive designs from which you can choose. We offer a wide portfolio of tattoo designs and body piercings. KDz pays utmost attention to hygiene while making a tattoo. Our long list of satisfied clientele speaks for our credibility. At KDzTATTOOs Body Studio, we take hygiene and safety very seriously. Tattoo artists work with needles and human blood. It is critical that when you are choosing a studio, that you consider the health practices of your potential artist. We never reuse ink or needles. For every client and every tattoo we use a new sterile needle which is immediately discarded in a bio hazard-safe container after our work is finished. We sterilize all of our equipment with an autoclave, which is a machine used by hospitals, doctors and dentists to sterilize their equipment to insure bacteria, germ and disease-free instruments. After the equipment is sterilized, each piece is placed in a new, clean bag, and is stored in the autoclave until the next tattoo. We always use latex gloves and we use new ink in small individual containers. We always use a disposable instrument to dispense Vaseline. We also disinfect our work surface (our tattoo table or arm stand) and then seal it with plastic before you are positioned for your tattoo. We urge you, no matter where you choose to get your tattoo, to go with a studio that has an autoclave. This is the best insurance against the spread of germs and disease. We welcome any questions about our health practices or tattoo health in general.